Medieval two child policy has still not been scrapped. The SNP has called on Theresa May to “live up to her rhetoric” of being on the side of ordinary people by scrapping her party’s regressive policies against women. A report by Engender found that since 2010, £26 billion worth of cuts have been made to benefits, tax credits, pay and pensions and 85% of this has fallen on women’s incomes. This week, the new Work and Pensions Secretary Damian Green confirmed that as part of the delayed roll-out of Universal Credit, the two child policy will continue to operate – meaning a further hit to women’s incomes. 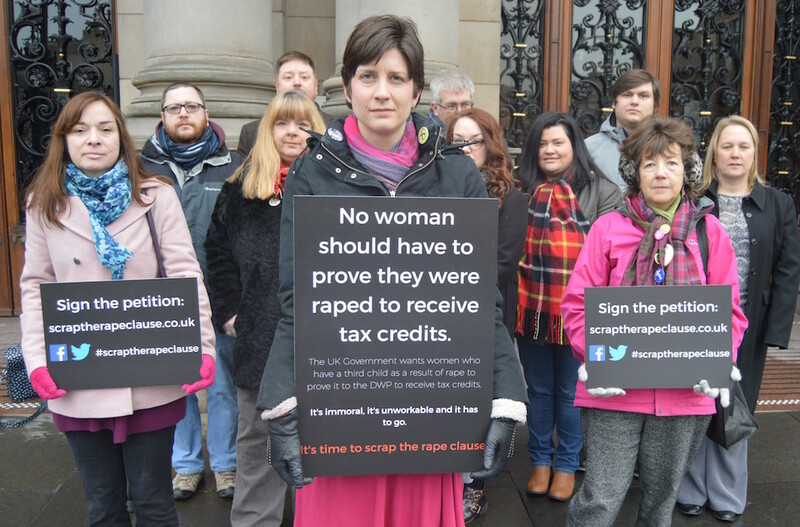 During Women and Equalities Questions in the House of Commons today, SNP MP Alison Thewliss asked what was being done to about women being disproportionately impacted by Tory welfare refoms – Work and Pensions minister Caroline Nokes failed to suggest any way of tackling the imbalance. “According to Engender, since 2010 there have been £26 billion of cuts made to benefits, tax credits, pay and pensions with 85% of this coming directly from women’s incomes. “The Tories are determined to plough on with the roll-out of Universal Credit despite the new Work and Pensions Secretary revealing the roll-out has been delayed for another year and despite the new benefit already being plagued with delays and billions of extra costs. “The continued roll-out of the Tories’ failed new benefit will also mean the frankly medieval two child policy has still not been scrapped even though it almost certainly breaches the UN Convention of the Rights of the Child.